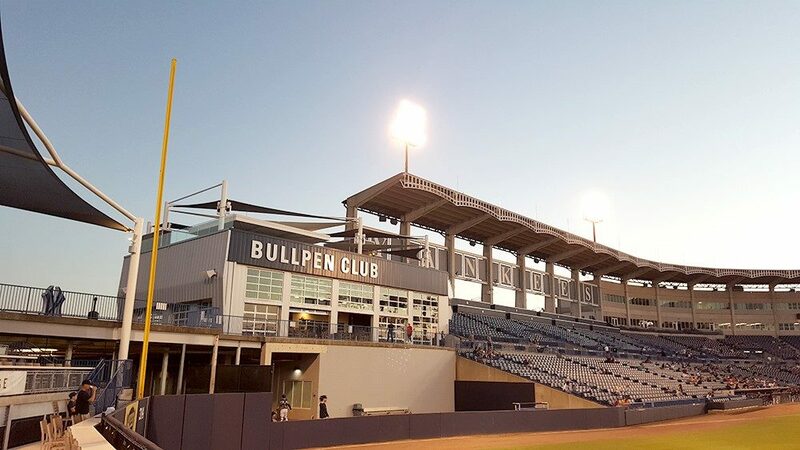 TAMPA, FL – A new Eastern Acoustic Works (EAW) distributed loudspeakers system designed by Wrightson, Johnson, Haddon & Williams (WJHW) was installed by AVI-SPL at George W. Steinbrenner Field as part of a $40 million dollar renovation project. The field is the spring training home of the New York Yankees baseball team. The renovation included expanded stadium seating as well as a wrap-around concourse with plenty of social areas, outdoor bars and clean views of the field. The new distributed system was made up of 54 outdoor- rated MK loudspeakers – an assortment of MK2391, MK2391i and MK5399 – painted white and bracket-mounted under balcony areas, on walls and on poles throughout the concourse with particular attention paid to the new outdoor bar areas. The new loudspeakers work in conjunction with the existing system that covers the main stands that run from 1st to third base.